General TV Channel / Virgin Media Television Ltd (formerly known as TV3 Television Network Ltd; previously traded as the TV3 Group until August 2018) is a commercial TV network in Ireland, based in Dublin. Launched in 1998 as TV3 Television Network, the TV3 Group was formed in January 2009. 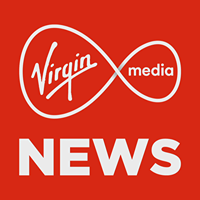 The company was acquired by Liberty Global in 2015, and the channels were rebranded to Virgin Media Television in 2018.